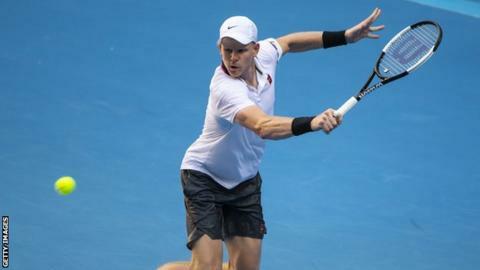 Britain's Kyle Edmund secured a comfortable 6-3 6-2 win over Andrey Rublev in the final of the Oracle Challenger Series at Indian Wells. World number 27 Edmund was playing in his first event since losing in the Australian Open first round in January. He now moves on to the Indian Wells Masters 1,000 event, which starts on Wednesday. Edmund took part in the second-tier Challenger event as he completed a comeback from a knee injury. He pulled out of February's tournaments in Marseille and Rotterdam after he was beaten in straight sets in Melbourne by Tomas Berdych.